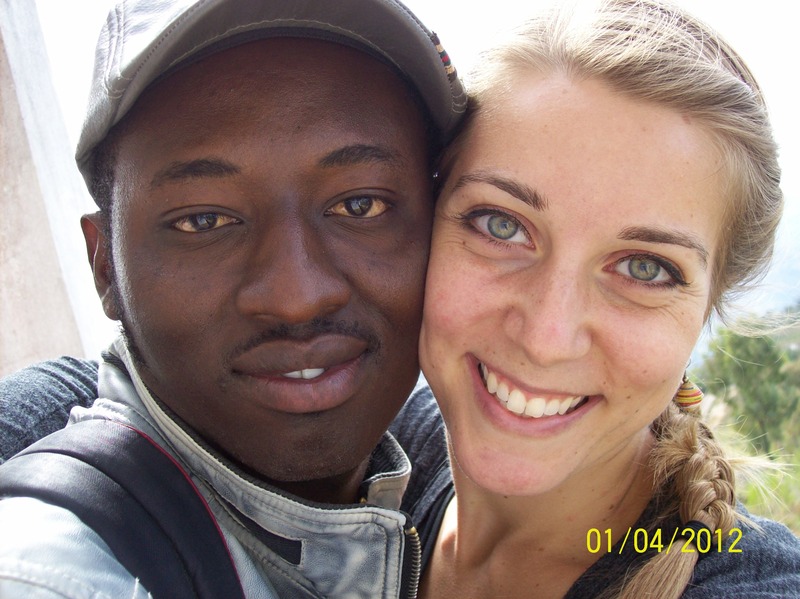 Voice of Jean Rabel, Haiti | "God Speaking Change." 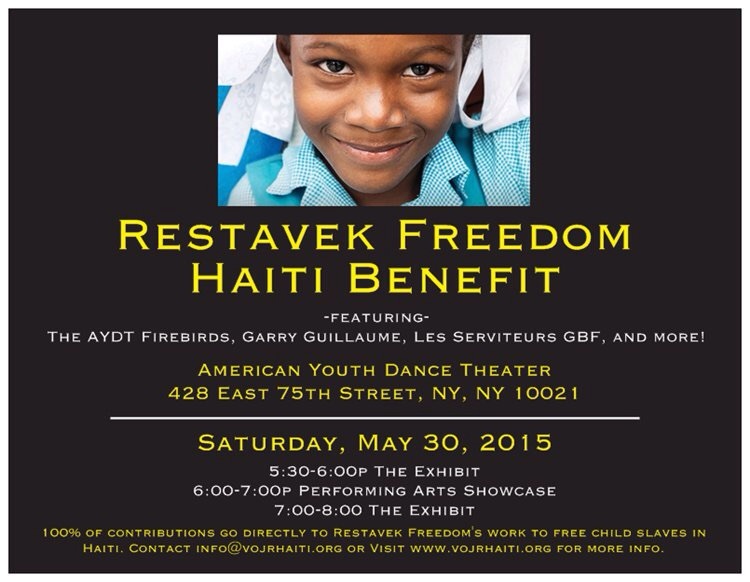 In our next event, Rio Tasia Guillaume will be hosting the “Restavek Freedom Haiti Benefit” at American Youth Dance Theater (AYDT) to raise awareness and support for Restavek Freedom Foundation in their mission to end child slavery in Haiti. This event is to kickoff our upcoming summer trip to Haiti, when Rio will once again be teaching dance to the 15 girls of Restavek Freedom’s Transitional Home. 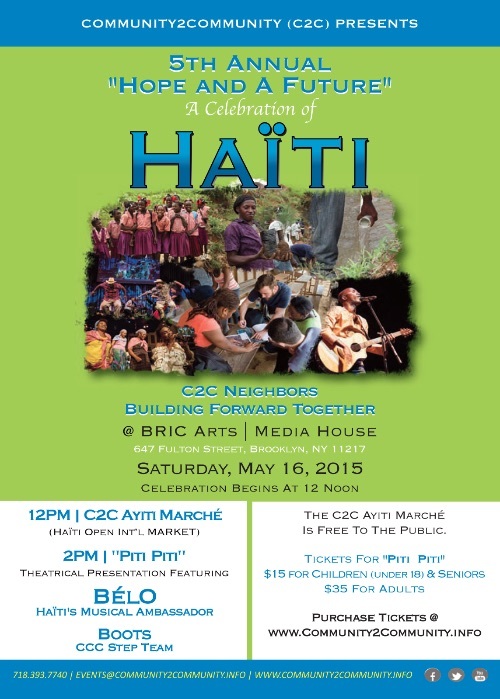 Joining us will be a couple first-time Haiti visitors: Ms. Rio’s very own students from AYDT! The event will include a “Performing Arts Showcase”, featuring Garry Guillaume and Les Serviteurs GBF, AYDT’s studio company The Firebirds, The Christian Cultural Center Dance Ministry, and more! Also displayed will be “The Exhibit”, a museum-like visual experience to help participants understand what a typical day in the life of a “restavek” is really like. The suggested donation is $25 for adults and $10 for children 10 and under. If you are unable to attend, please consider making a gift to Restavek Freedom Foundation at www.restavekfreedom.org/give. 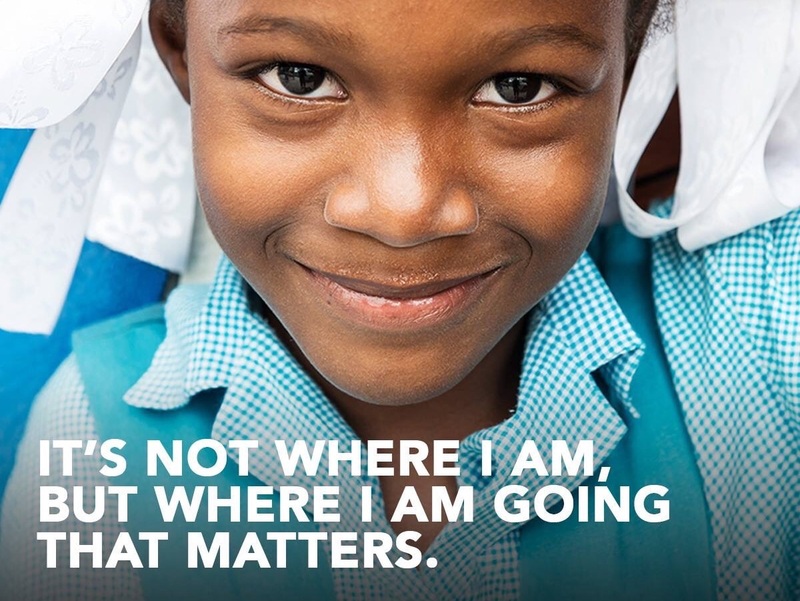 The administrative costs at Restavek Freedom are covered by private donations, so 100% of the your contributions will go directly to supporting their work to free child slaves in Haiti. Restavek Freedom Foundation is a 501(c)(3) non-profit service organization. Thanks for being a part of something greater than yourself! Garry Guillaume’s “Just Believe” Album Available Now! The biggest news we would like to celebrate with you is the world premiere of Garry’s new worship album: “Just Believe” ! (Formally known as Bondye Bon…) You can check it out here: http://www.cdbaby.com/cd/garryguillaume1 and feel free to leave your review. We thank our supporters for sticking by our side this past year in the production of the album… this is the fruit of your seed! As we’ve said from the beginning, all of the proceeds will go towards our efforts in Jean Rabel, so we invite you to be a part of something bigger than yourself. In the meantime, listen to some good tunes in various styles of Haitian Konpa, Reggae, Zouk, and more! If you’re interested in checking out past videos of Garry singing, you can view them on our YouTube page. As always, please keep in touch and let us know if you’d like to be more involved! We give glory to our Lord, Jesus Christ, and thank you again for all of your support. Blessings to all! Wow. Where do I start? First of all I want to thank you for reading this start-up blog for VOJR. For those of you that have been following us since the whole organization was just a seed in our brains back in 2010, I especially thank you for your love, support, prayers, and encouragement to help push us forward. Garry and I are just so humbled by how God has moved through us and those touched by our vision to get stuff done. Though we are in the process of a lot more building within VOJR, we feel like we’ve reached a HUGE accomplishment by completing our first mission trip this past July 5-14, praise God! We know that it was not done on our own. The more we put ourselves aside and relied on the power of the Lord, the more we could sit back in amazement of our vision coming true! I don’t want to start listing a bunch of names because there are so many people who have come together, in big and small ways, to make the trip happen; and I fear I will leave someone out. So forgive me, but you all know who you are, and I am so thankful for each and every one of you. Your giving has not been in vain, and may God bless you greatly! I sit here at my computer wanting to write about the trip (which I will), but I feel that any words that I can write still will not come close to the thankfulness and awe Garry and I have felt in our mission accomplished. I will list the hard facts of what happened, but this, nor any picture, video, or story can be exchanged for the experience. So, with that said, I hope you’re inspired to either continue working alongside us, or join us in the near future! Our group included my niece, Pandora: a bright, beautiful recent high school grad with a huge heart for people, and determination to become a doctor for the underprivileged. She also has worked alongside Garry and me twice before in Port-au-Prince, so I knew that Jean Rabel would be a fun new Haitian experience for her. Serenity and Jill also joined us, one a nurse and the other a dental hygienist, respectively. This trip was Serenity’s second and Jill’s first to Haiti, and they both fit in perfectly to the group and were invaluable to the team! I have to say that I was amazed at how well these three women adapted to life in Jean Rabel, contributed to our activities, and kept an open mind, judging nothing. Garry and I are forever grateful! 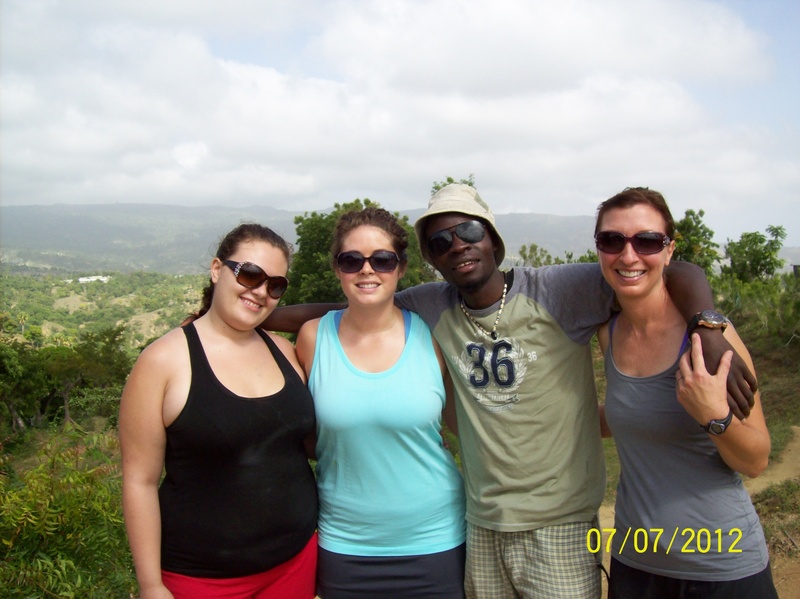 Pandora, Serenity, Mackenson, and Jill pose in front of Jean Rabel’s beautiful landscape. We also brought along Steven and Mackenson, Garry’s fellow Haitians to help translate, be extra hands, and spread God’s love with us. Without these three guys, we would not have been able to do anything. I continually stood back in awe watching these men leading the kids, promoting unity with the pastor and other leaders of the community, and taking charge in bringing the community hope. Garry’s family in Jean Rabel took the best care of us, making sure we were comfortably at home with full bellies of delicious Haitian food. They would wake up before dawn to fetch us clean water and prepare our breakfast, and always welcomed us after a days work with smiles on their faces. We are overwhelmed by their love and hospitality! Most of the days we worked with the kids, whether it involved “Kids’ Club” or the clinic. During Kids’ Club, the 200+ kids would be seated politely in a pew of the church as we set up. Then one of the guys would lead the kids in a couple of fun worship songs as someone else planned a lesson for the day. A Bible story was taught and explained in practical ways for the kids to use in their everyday life. One day Mackenson helped the kids remember a verse, and we used it in the games we played later on. Serenity, Pandora, and Jill all had different lessons for the kids as well on topics such as self-respect, environmental cleanliness, hygiene, and English. Then we would play games for small prizes, often incorporating memorization of the lessons given that day. We were also able to show a couple of films (which many of the kids had never experienced watching before), as well as feed them and give them clothing. “Mesi Thank You” the sign reads as the kids shout with joy and gratitude! So, without doctors, we didn’t prescribe any medication; and without dentists, we didn’t pull any teeth. However we focused on starting a medical/dental record keeping system (thank you, Analiesse! ), to be able to give more appropriate medical care in the future. Serenity gave some wound care, and also helped Jill give fluoride varnishes to strengthen their tooth enamel. Now we are better prepared for when we do have dentists and doctors come in the future! 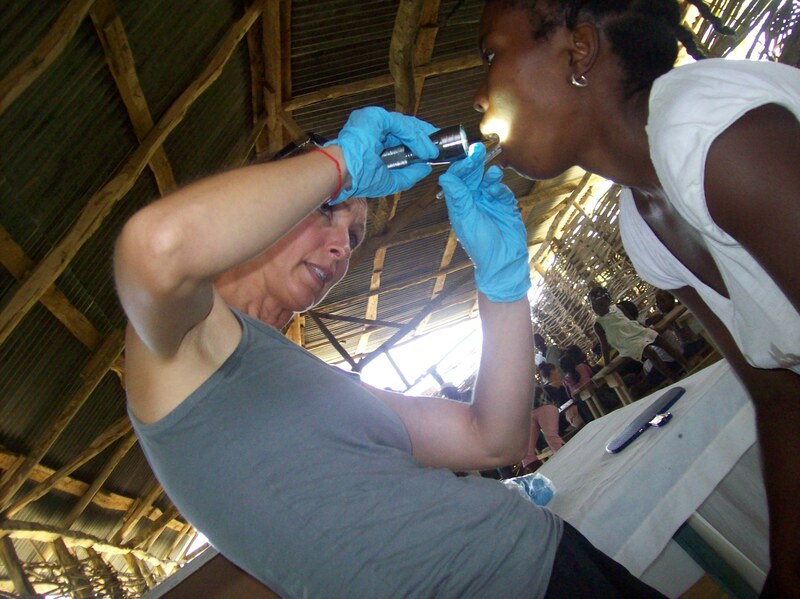 Jill checks a patient’s teeth for signs of decay. We were also able to have a “leadership meeting” amongst the pastor we were working with, as well as those working in education, agriculture, construction, and business. If there was any event that struck me personally with God’s omnipotence, it was this meeting. Those of you that have travelled to or worked in other countries know that there are always language and cultural barriers to overcome. Garry and I also did not want to proudly bring VOJR to the northwest of Haiti, and speak of all our great plans and ideas to build the community without listening to the people. So together, we came up with plans to continue the Kids’ Club every month, even while we are away, as well as how to clean up the community and provide better education to the kids living far from the town. This meeting allowed us to humble ourselves and hear what the Jean Rabelians had to say. We were able to unify under God, and submit to His Almighty authority and will. We came together in love, converse towards common understanding, and all left the meeting with huge respect for one another. Wow. I really wish I could express the meaning of this to you, dear Reader, but I will trust God to deliver the rest. 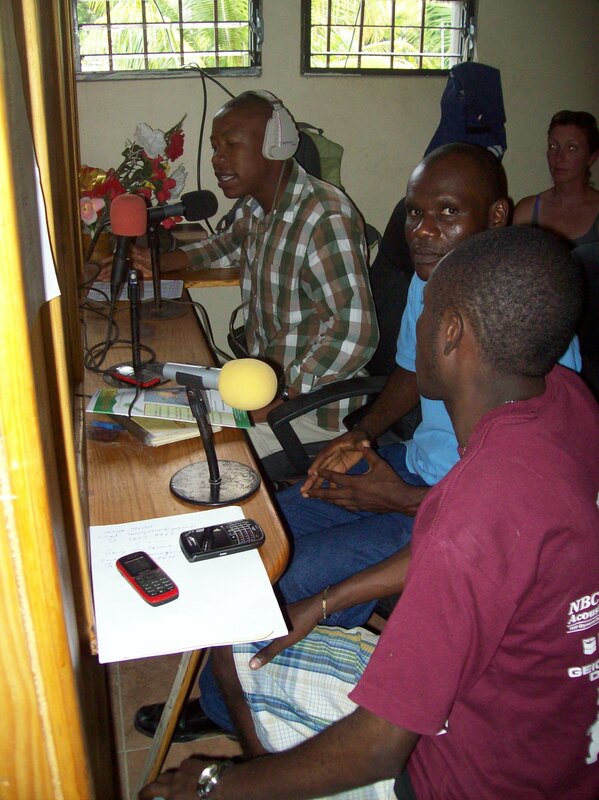 Towards the end of the trip, we aired a program on the radio with the topic “Can you build a country without God?” We each introduced ourselves and the organization, and let Steven brilliantly lead the rest. We looked into examples of the history of Israel and the USA. Our answer? “Yes, you can build anything without God (such as the tower of Babel), but He has the power to take down anything that does not rely on His sovereignty.” Food for thought, especially for those of us in love with Haiti, working towards the hope and dream we have for the beautiful country. The guys discuss over the Jean Rabel radio whether we need God or not to build a country. OK, that’s about it! 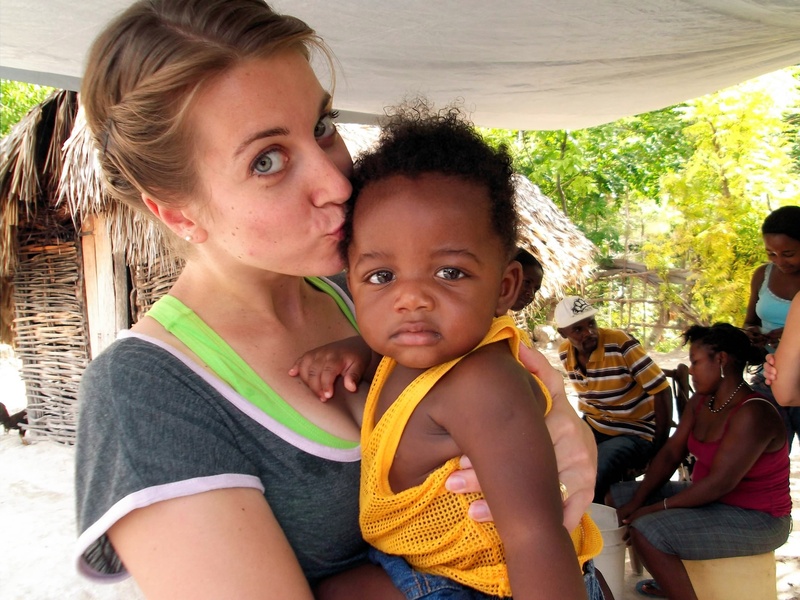 There is so much more to share, but like I said towards the beginning of this post, this blog comes nowhere near to experiencing the great 10 days we spent with each other, working, laughing, playing, and enjoying God’s beautiful given land of Haiti. 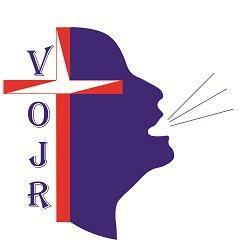 So please stay tuned to hear more about what’s next in VOJR, and keep us in your prayers! Thanks so much, love you, and God bless! Welcome to Voice of Jean Rabel’s Blog! 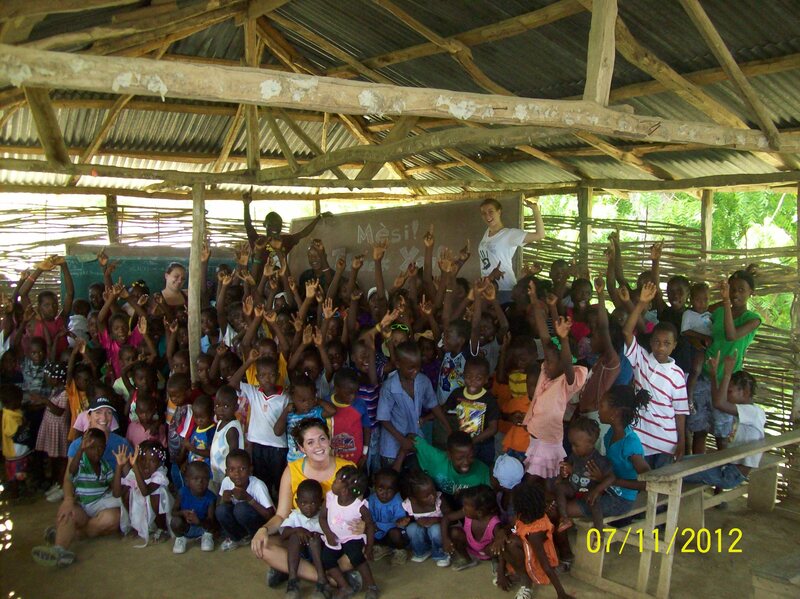 This site is to give you a peak into our work in Haiti and watch the development of our organization. Feel free to like, comment, share, and spread the word! You can also check out our website at www.voiceofjeanrabel.com and subscribe to our email newsfeed. May God bless you greatly!